This page lets you compare the lowest mortgage rates in Canada for every term. How often do you want to renew? (Shorter terms require more frequent mortgage negotiation, and more frequent switching costs if you change lenders). 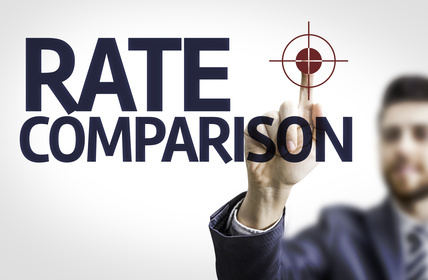 RateSpy.com makes rate comparisons easy, but there’s more to a mortgage than the stated price of interest. It’s the contractual mumbo jumbo that can really cost you. These days, mortgage providers are attaching more strings to their mortgage rates than ever before. We’re talking about higher penalties, refinance restrictions, restrictions on increasing your mortgage before renewal and so on. The best weapons you have are knowledge and comparison shopping. One good strategy is to find three rates that interest you and then call each of those providers. Ask what limitations come with their rate, as compared to a “full-featured mortgage.” A fully featured mortgage is one with a reasonable penalty policy, refinance flexibility and good portability. If the rate has restrictions, get their opinion on what those restrictions might actually cost you—in estimated dollars—given your particular circumstances. Quick tip: Don’t hold a broker or banker to the exact amount of things like penalties or the cost to increase your mortgage before maturity. It’s often impossible to predict these costs with accuracy since they’re dependent on when you change/break your mortgage, on future interest rates, etc. When it comes to mortgage shopping, doing a little legwork is always worth it. It helps you compare the total borrowing cost (interest expense + penalties + refinance costs + fees) of different options and make the right choice the first time.